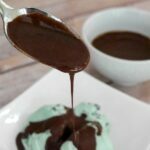 This low carb chocolate sauce is perfect for serving with low carb ice cream! 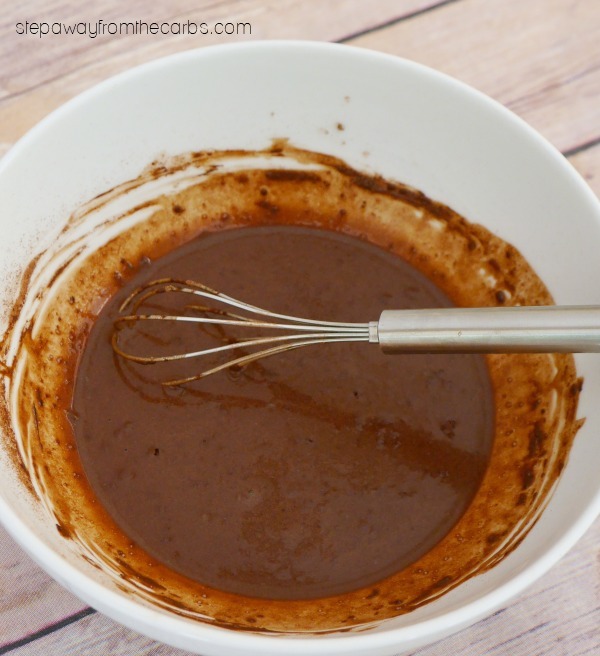 This chocolate sauce has hints of coconut and is SO quick to make! 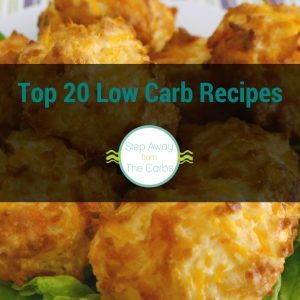 I enjoy it over low carb ice cream – my current favorites to buy include Halo Top, Arctic Zero, Breyer’s Carb Smart – and shown here with Enlightened Mint Choc Chip! But of course I also like making my own – this sauce would work perfectly with my low carb chocolate hazelnut ice cream or my low carb salted caramel ice cream! Melt some coconut oil in a bowl in the microwave. It only needs a minute! Add some water, unsweetened cocoa powder and chocolate extract (or vanilla extract, if you prefer). Whisk well, and then you’ll need to add some sweetener. 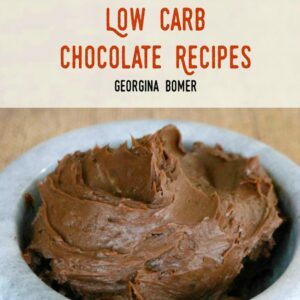 I’ve tried this recipe with Da Vinci liquid sweetener and also liquid stevia. Probably my favorite is the Da Vinci but you might need to experiment to see which taste you prefer. The taste of sweeteners can be so personal! Keep adding a little sweetener at a time until you get the right balance. 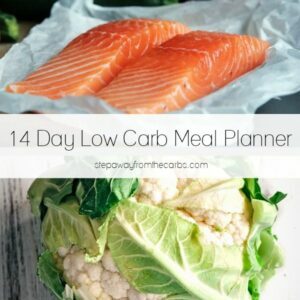 No cooking required! How easy was that?!? 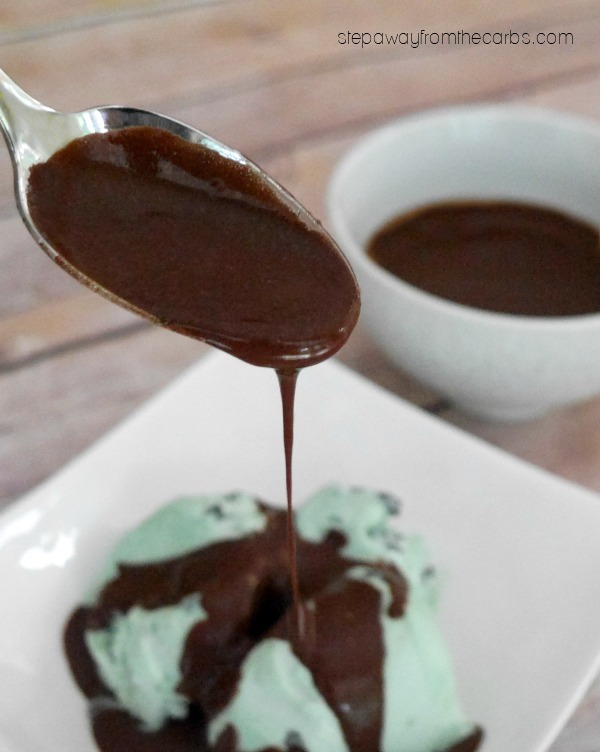 This no-cook chocolate sauce is perfect over low carb ice cream! Melt the coconut oil in a bowl in the microwave. It only needs a minute! 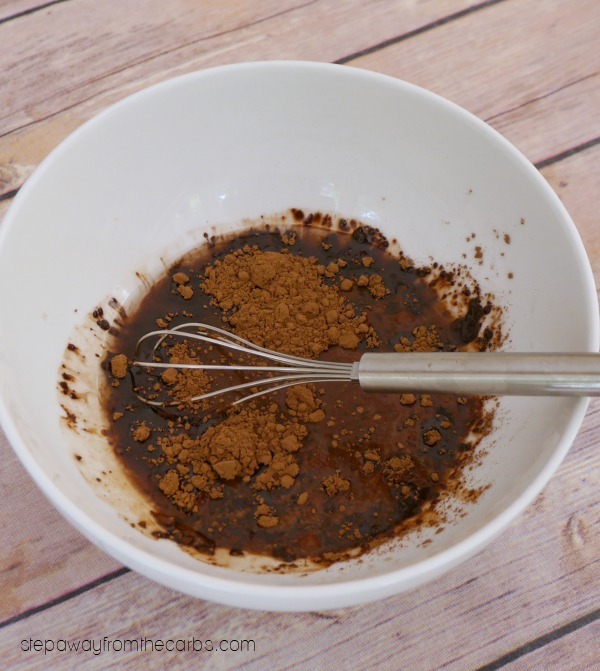 Add the water, unsweetened cocoa powder and extract and whisk until smooth. Add a little sweetener at a time until you get the right balance. 1g net carbs per serving (2 tbs), based on a zero carb liquid sweetener.